Buy 1 for $10.30Buy 2 / Save $0.55!Buy 3 / Save $2.06! I was told Pennyroyal can be used to rid my home of Spiders. What form do I use? Powder-Tea or whatever. How do I go about this? 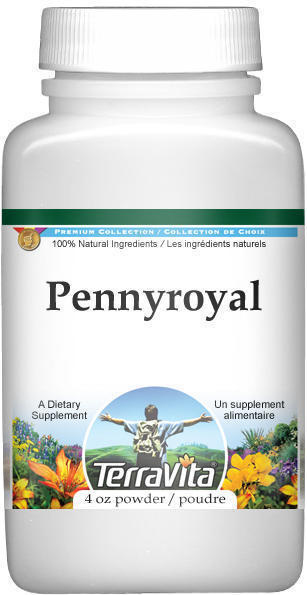 Pennyroyal oil or pennyroyal powder may be used for deterring spiders and ants from taking up residency in your home. Usually, a cotton ball is dabbed with a few drops of the oil and placed in problem areas or corners. Similarily, the powder can be sprinkled or rubbed into specific areas. Liquid formulas of lavender, garlic, peppermint, spearmint, cedarwood, citronella, and tansy have all been used for similar purposes.